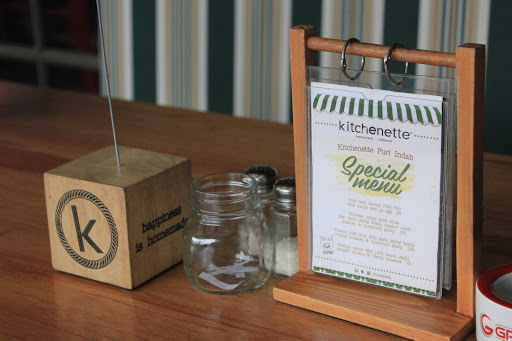 It was raining hard when I arrived at Kitchenette, but I’m not gloomy because of the warm welcome from Kitchenette’s crew! 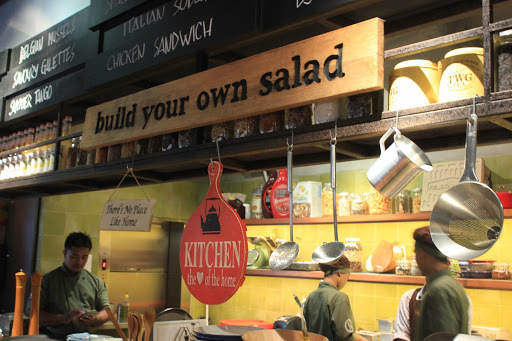 Who doesn’t love to build their own salad? Yes, they have special menu! 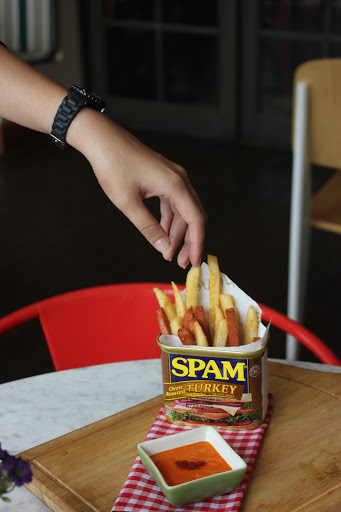 Honestly, I just know that there’s a brand of fries turkey called Spam. Thanks to Kitchenette so that I could know about this! A recommended finger food if you are bored with the usual ones. 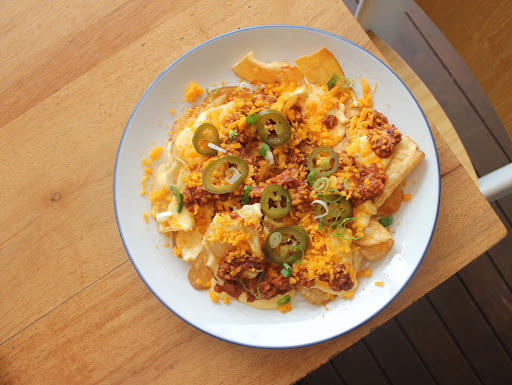 Believe me, I just can’t stop eating the Nachos! 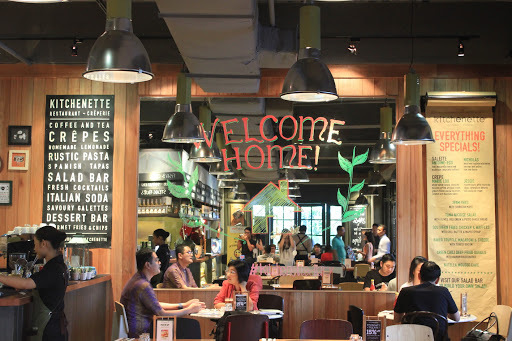 I personally think their Nachos are home-made, because it doesn’t taste like other restaurant’s nachos. Topped with lots of minced meat and cheese, its damn finger licking good!! Definitely one of the most recommended menus here in Kitchenette. 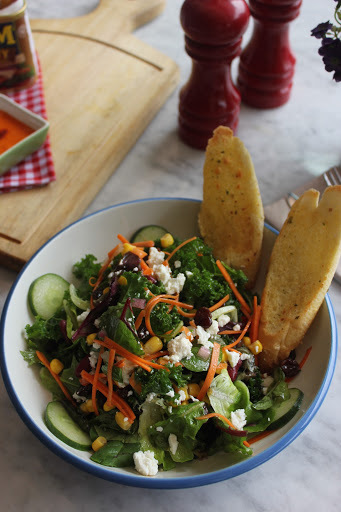 I only eat vegetables salad if it’s crunchy, and it definitely is. A good starter especially if you would love to have something fresh before continuing to your main course. 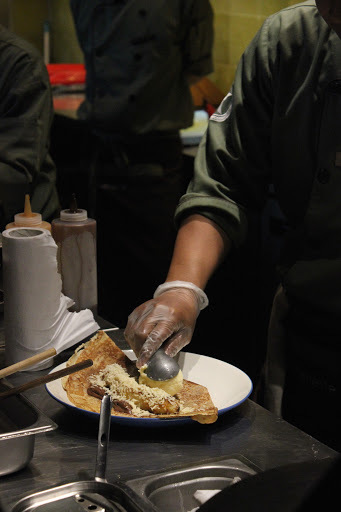 The taste is also delicious, well, what could be better than ham, cheese, and mushroom? Best served while still warm. Nothing could go wrong with Fish and Chips. You’ll always love to have this one anytime anywhere. 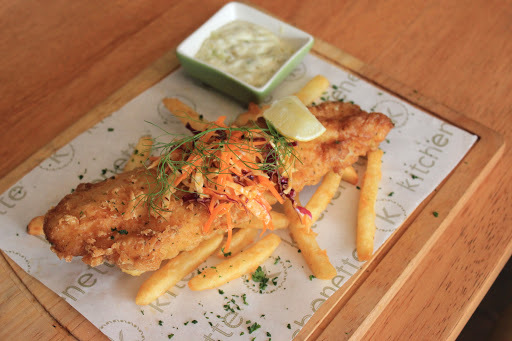 Just don’t forget to squeeze the lemon and dip the fish to the tartar sauce! Yummmm. The spaghetti was cooked al dente, which is great. 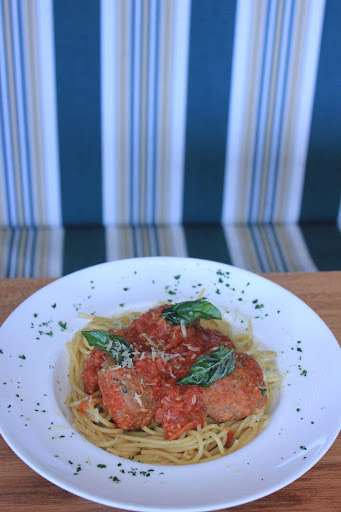 For me, the size of the meatballs is too big (I know, the name is giant anyway, hahaha) until I feel overwhelmed with the texture and the taste. It would be nicer if the size is smaller. 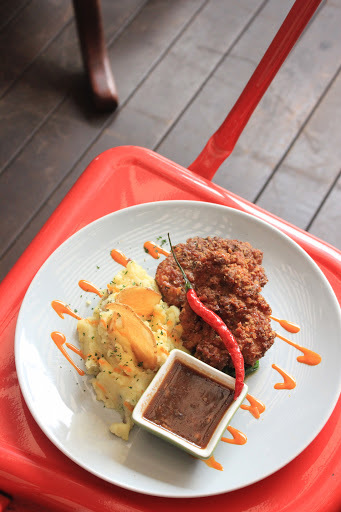 I always appreciate restaurants or any food stall who served boneless fried chicken. Yes, we could just eat it so easy without any of our finger got involved in the eating process, lol! 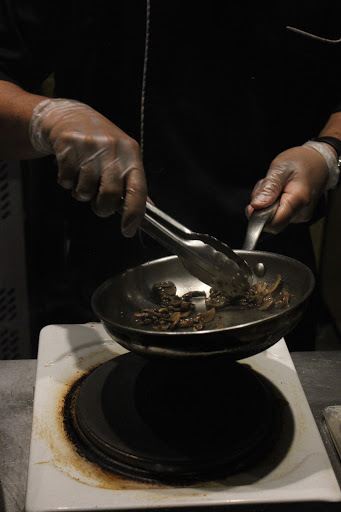 Taste great and just dip it into the sauce, because it could balance the taste and it taste great! 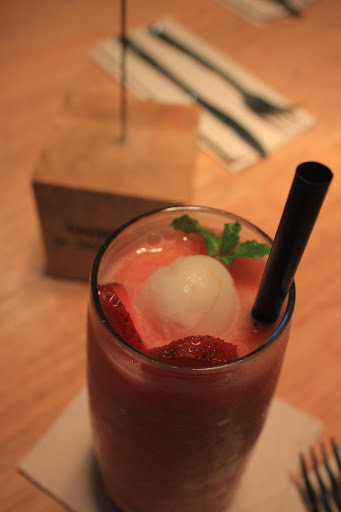 I think it’s more into a mix between lychee and strawberry, since the taste of the Lychee in the drink isn’t that strong. It’s recommended for those who wants to have a refreshing and healthy smoothies. 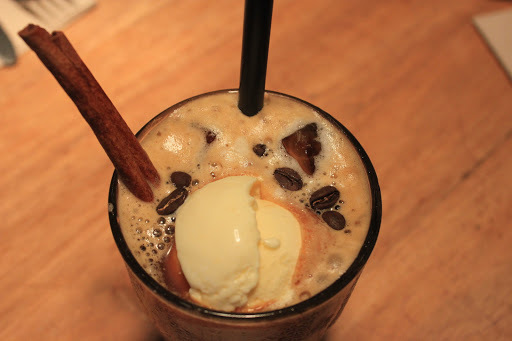 If you love coffee, then you need to order this one, because it taste like an Americano and really bitter. I love it when a coffee taste bitter like a “Kopi Tubruk”. Don’t worry though, you still could add some sugar and it’s also served with vanilla ice cream. 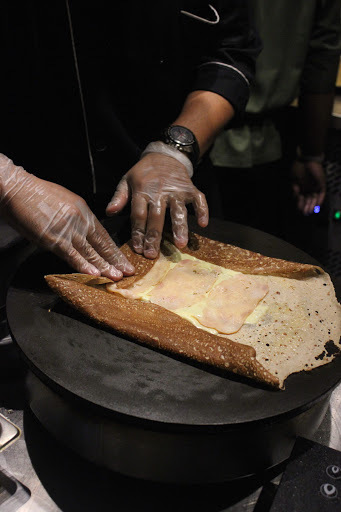 Besides the Galettes’ making process, I also could watch the making of their signature dish, Marie-Lou Crepe. Caramalized Banana is being cooked! One more step to enjoy the Marie Lou! 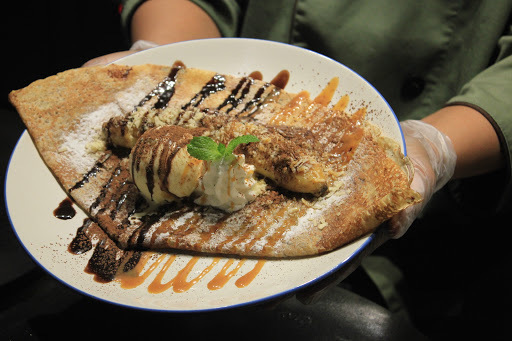 I personally recommend this menu since this menu is a dessert (and I love eating dessert!) and the elements there includes caramalized banana (drools!!) ice cream, choco and caramel sauce. Great combination!! 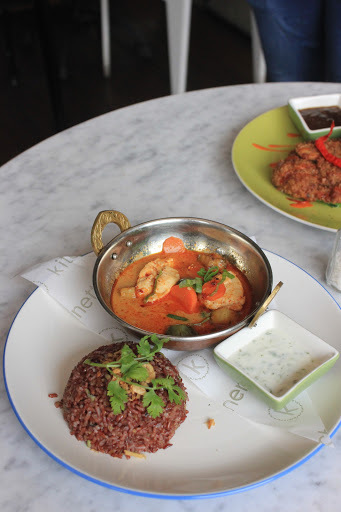 Overall, I’m super happy with the food and also the service from Kitchenette. 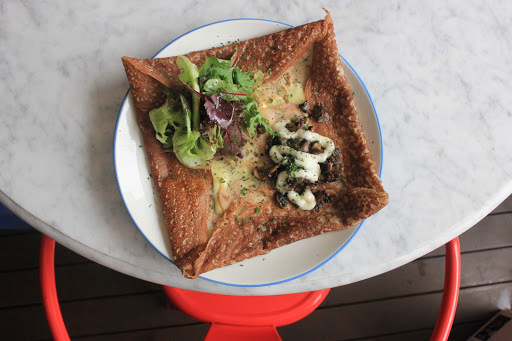 I wish that I could come back and eat more of that Marie-Lou Crepe and have their unbeatable Nachos! !